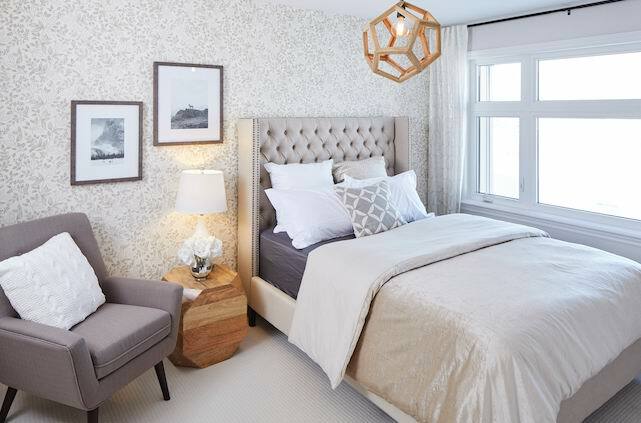 Nurseries are a popular choice for wallpaper, like the subtle accent wall in this Cardel Homes Cornell model. 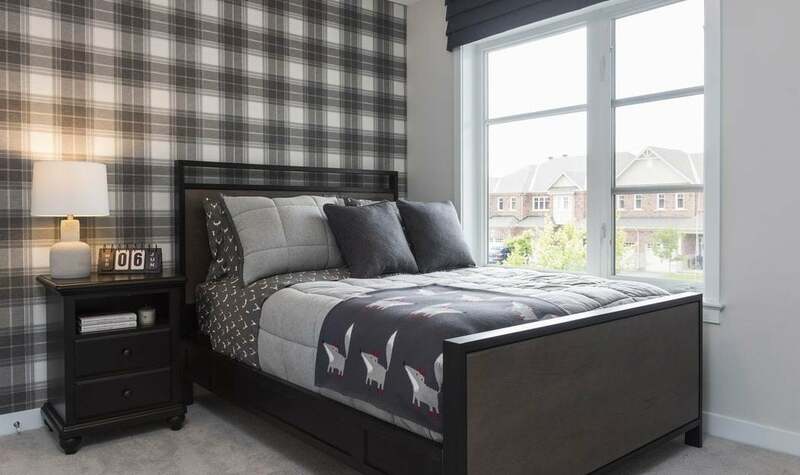 Combining a bold pattern and a neutral tone can create impact while still being subtle, like the master bedroom of Minto’s Killarney model by KISS Design. 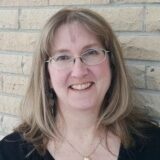 Neutral tones and textures will have greater longevity, says Catherine Pulcine of CPI Interiors. 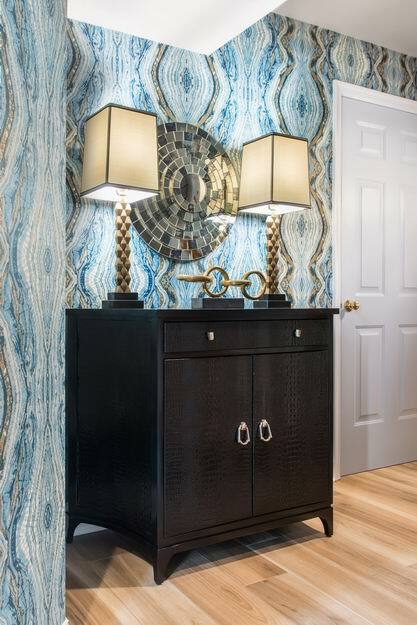 Dining rooms are another popular spot for wallpaper, like this Richcraft model, where the hutch niche gains added dimension with a geometric pattern. 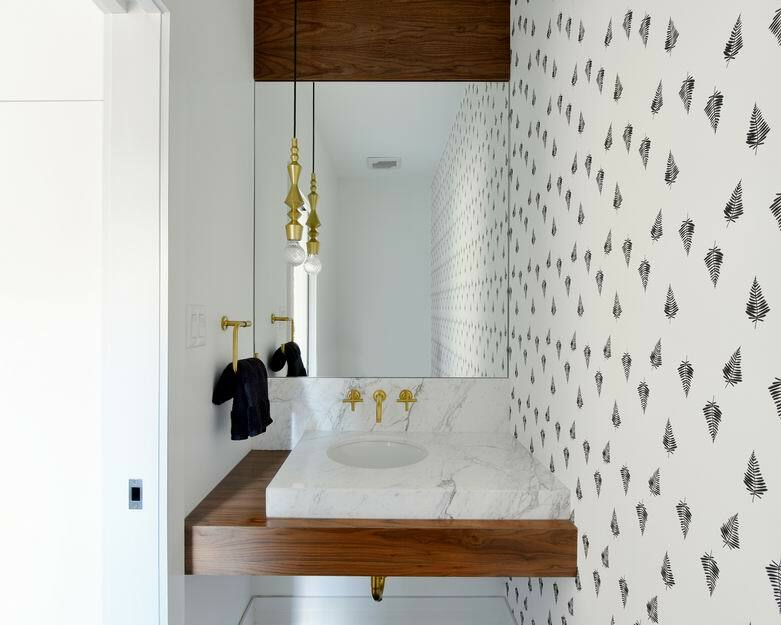 Black and white or a pattern with white in it tends to be more timeless, says designer Tanya Collins. Shown is Cardel Homes’ Montage model. 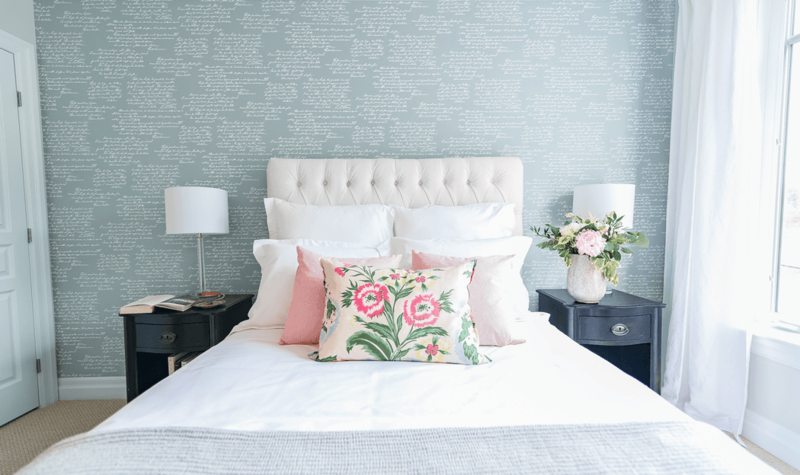 For a timeless look, a pattern such as the subtle script writing in eQ Homes’ Rosewood model guest bedroom can provide longevity, says designer Sascha Lafleur. Have you noticed how much of a comeback wallpaper has been making lately? It’s showing up everywhere and it’s being used in both fun and sophisticated ways. I have a love-hate relationship with wallpaper. I love the transformation it can have on a space, how it adds pop with so much more depth and versatility than paint alone can do. But it’s been years since I’ve used it, mainly because my last experience with wallpaper was having to scrape the years-old floral pattern off the living room walls in the house I was selling. It was a messy, exhausting process that soured me on using it as a decor option. But the papers available today are wooing naysayers back into decorating with it. From pre-pasted to textured and foil, there are choices for every budget and lifestyle. 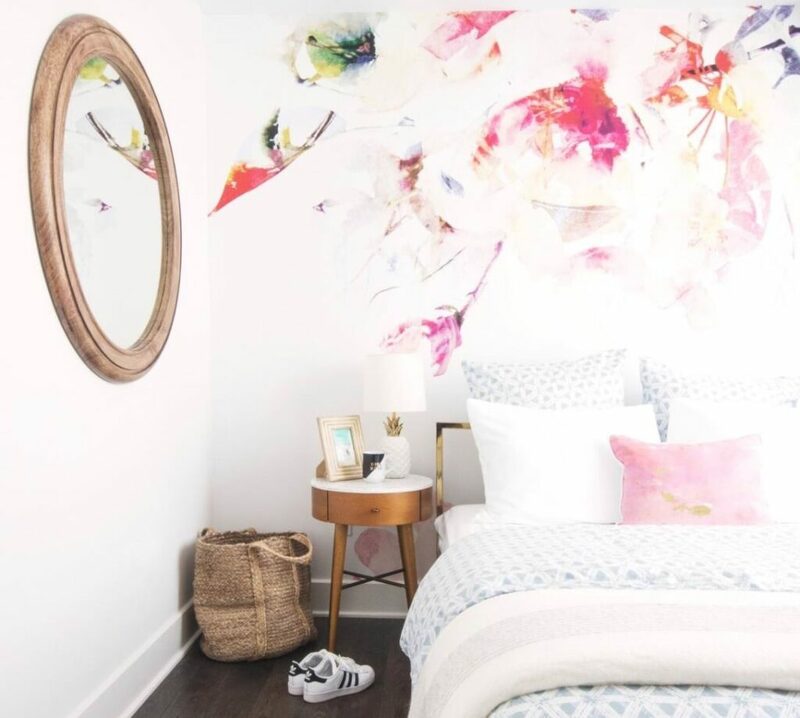 Even renters can get in on the trend, opting for peel-and-stick varieties that are easily removable and can travel with the tenant. 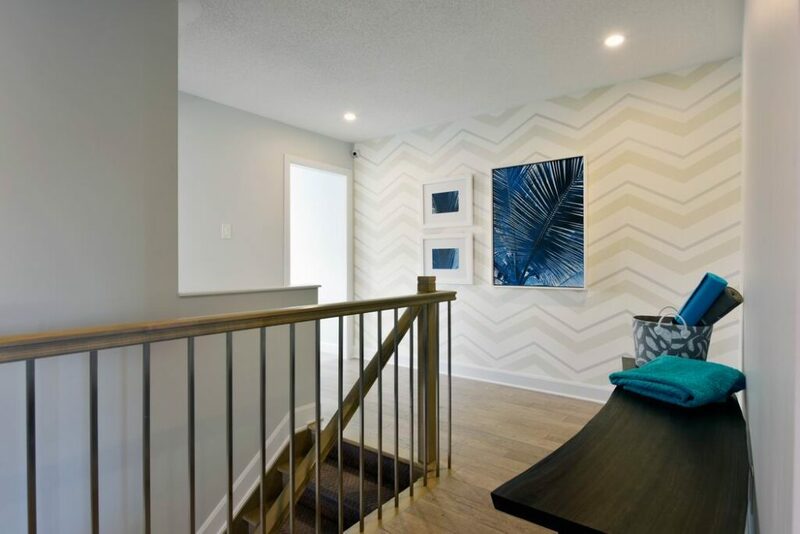 Several recent entries in the Housing Design Awards put on by the Greater Ottawa Home Builders’ Association featured wallpaper, and it’s become a regular decor element in builder model homes. 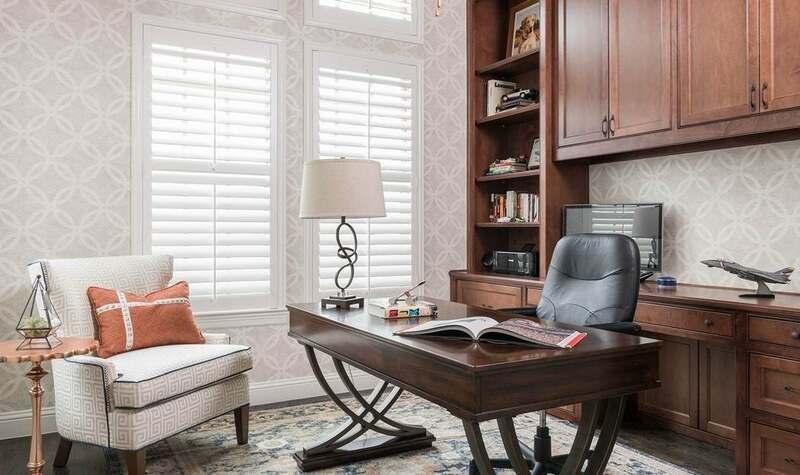 Leclair opted for a timeless pattern at Richcraft’s Urban Town model in Riverside South. But she went for bold and moody with a condo at The Bowery. 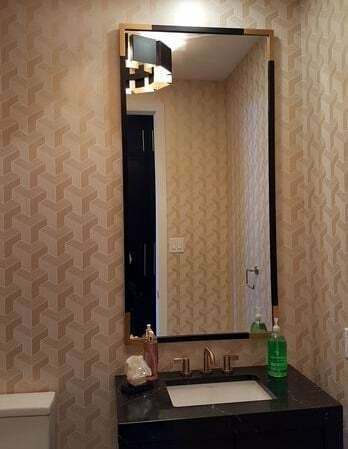 At this year’s Minto dream home in the CHEO Dream of a Lifetime Lottery, the powder room is on trend with its geometric patterned wallpaper. 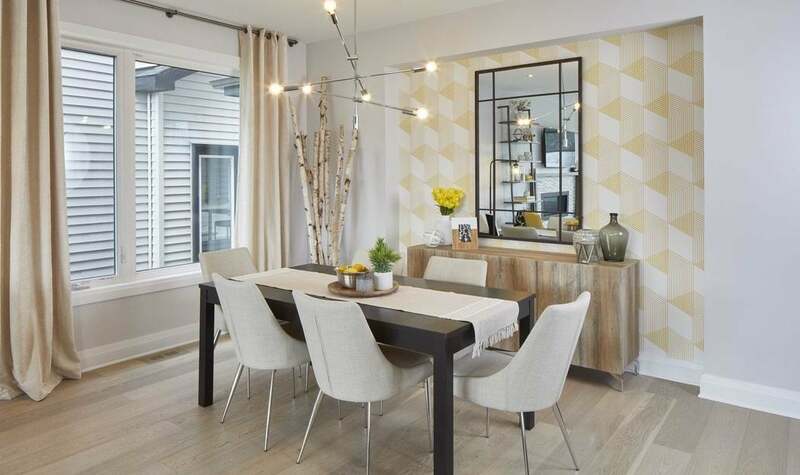 Designers often pull trends from the past and give them a fresh update, say Donna Correy and Tracey Woodman of KISS Design, who decorate Minto’s models. Wallpaper is a great example of this common design movement, they say. 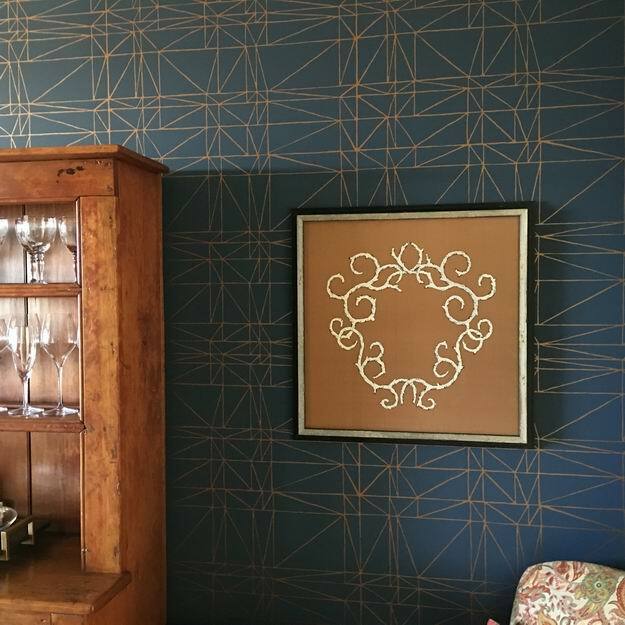 Woodman and Correy combined geometric shapes (another trend) with a wallpaper accent wall in the upper hallway of Minto’s Talbot model. 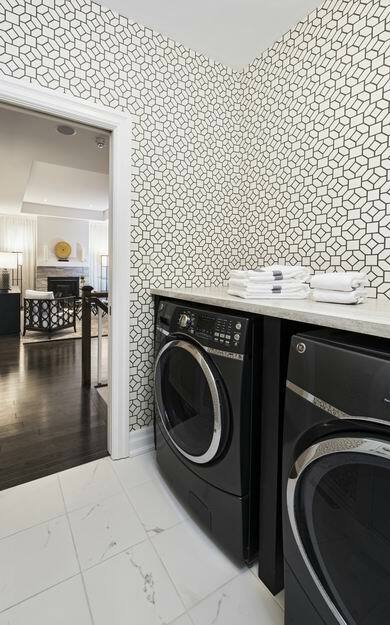 Geometric patterns and wallpapering laundry rooms are both popular choices, like in the award-winning Anderson model by eQ Homes. Nature-inspired prints such as birch bark trees tend to be loved long term. Designer Henrietta Southam used one in her own foyer, which was a finalist in last year’s Housing Design Awards. 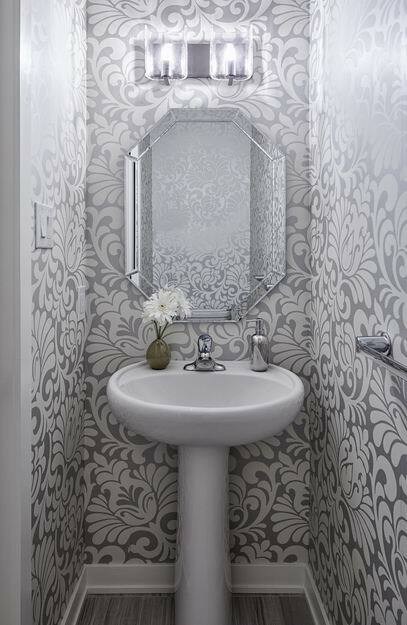 As a design element, the wallpaper combined with the mirror in this powder room by Gordon Weima Design Build visually expands the space to make a tiny room feel large. Want to read more? 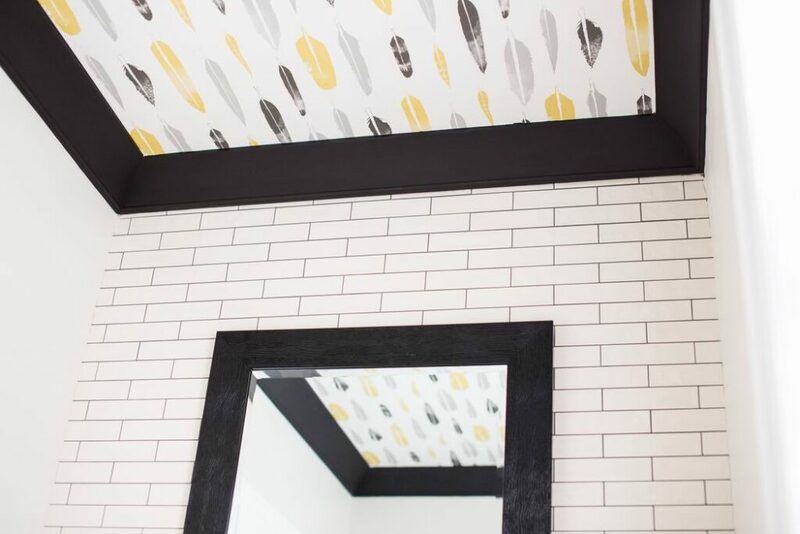 Check out a story on wallpaper I wrote recently for the Ottawa Citizen.